Diana & Kevin’s special day began at the break of dawn, 5AM in the morning, with Diana’s prep and makeup session to gear up for the long day ahead. Our videographers and cinematographers arrived just in time to catch Diana’s preparations for the ceremonies unfold; with the beautiful bride dressed elegantly in a gorgeous glittering red Cheongsam, the traditional Chinese bridal dress. In the featured highlight reel, you can catch a glimpse of Diana & Kevin’s readings of one another’s wedding letters; a truly tear-jerking moment. To juxtapose, we also featured the groom’s door games, a fun and festive Chinese wedding day ritual. As for what’s so fun and festive about it, we’ll just let the motion-picture say a thousand words. With opened doors and warm smiles, our videographers and cinematographers filmed the couple’s first greeting on the day which marks the start of their married life together, followed by the traditional Chinese wedding tea ceremony to pay respects to Diana & Kevin’s family members. In a first for our videographers and cinematographers, the couple had decided that immediately before their wedding ceremony, that they’d visit their old elementary school from their shared childhood, Kennedy Public School. Diana & Kevin, lifelong friends from their earliest years, paid a heartfelt homage to the grounds which brought them together and ultimately built their lives. In front of the school’s main entrance, Diana & Kevin made their formal first look along with an emotional kiss in a beautiful scene featured in our highlight reel, and proceeded to the procession ahead. For their wedding day ceremony and celebration, Diana & Kevin chose the illustrious and historic Hart House on the campus of the University of Toronto as the site for their own historic wedding day. In our highlight reel, our videographers and cinematographers had a lot of fun filming a stunning aerial view of the campus via aerial drone, giving a gorgeous totality to the cinematographic ensemble. By noon, the couple began their ceremonies; the first being a formal western wedding, and the second being an eclectic and traditional Korean wedding ceremony. 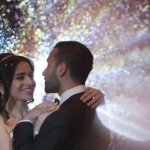 Our highlight reel features many of the best scenes from both, giving Diana & Kevin’s wedding full cross-cultural coverage. And in the end, Kevin carries his once-betrothed wife on his back in a triumphant walk for both husband and wife, to the applause of the couple’s family and friends. With bountiful smiles on hand, the newlyweds hosted their wedding reception at Hart House’s ‘Great Hall’ in a celebration full of liveliness and energy that brightened Hart House’s well-aged walls. With cheers all-around from family and friends, sentimental dances, creative presentations and truly anything and everything to bring an air of joyousness to the evening’s festivities, Diana & Kevin closed the utmost memorable day of their lives together with the same playfulness that brought them together from their earliest years. 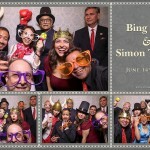 With that, we here at SDE Weddings, Toronto’s premier wedding videography, cinematography and photo-booth group, wish Diana & Kevin the very best in their lives together, and hope that the bond they’ve formed throughout their lives only gets ever stronger as the years go by.